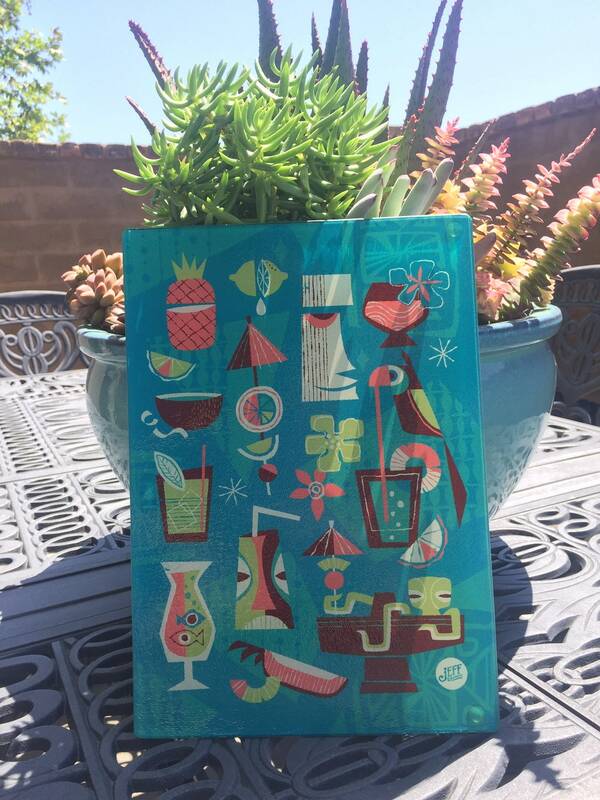 A perfect addition to your home Tiki Bar, or a fun accent for an Island Style party! 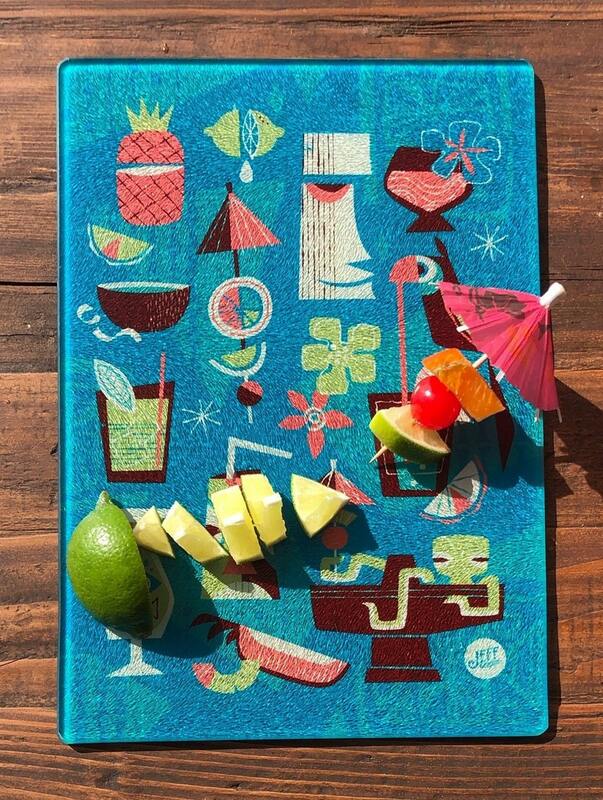 Glass cutting board by Jeff Granito. Care: Wash with dish soap and water. Dishwasher not recommended. Shipping/Handling will be more then usual because the item is glass. It will be double boxed with packing peanuts to make sure it arrives in one piece.